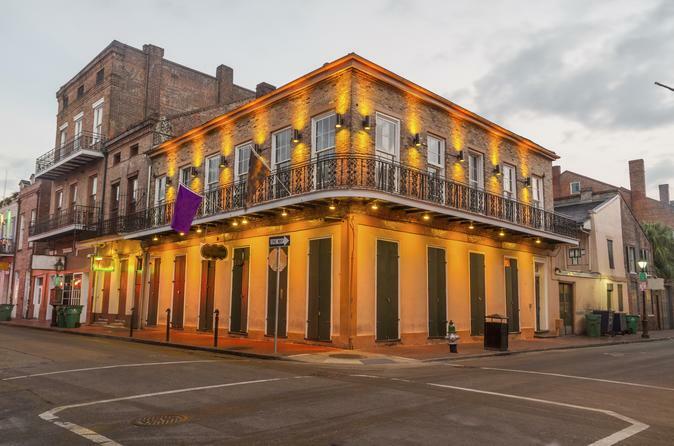 Delve into the history of the French Quarter on a 2-hour walking tour with a knowledgeable guide who shares the legends and landmarks of this fascinating city. At a relaxed pace, take in the Mississippi River, French Market, St Louis Cathedral, the Cabildo, the Presbytere, Jackson Square and more. Visit historic buildings and secluded courtyards, see famous literary and silver screen locations, and learn about Creole culture. Your entertaining guide provides a deep understanding of the forces that shaped the Big Easy. Make your own way to Musical Legends Park to meet your guide for your walking tour. After introductions, stroll a short distance to the banks of the Mississippi River where you learn how levee construction transformed the swamp into fertile farmland, making New Orleans an important hub in the region. Continue by walking through the French Market, the oldest open-air market in the US. Then stand outside the Mississippi River valley’s oldest building, the Ursuline Convent, whose history provides a window onto early colonization efforts in Louisiana. Head to Jackson Square, the heart of the French Quarter, to see important sites including the Cabildo, the Presbytere and the Pontalba buildings. Your guide takes you inside St Louis Cathedral and shows you where the Great New Orleans Fire of 1788 started, explaining how rebuilding post-fire resulted in what is now considered the classic architectural style of the French Quarter. During your tour, your guide points out film sites and literary haunts such as the building where Tennessee Williams wrote ‘A Streetcar Named Desire.’ You'll enter William Faulkner’s home before you stop at Pirate's Alley, where your guide recounts local legends about prison escapes and dueling. Also, enjoy the tunes of talented street musicians as you stroll. Choose from a morning or evening tour and expect to walk about 2 miles (3.2 km) at a leisurely pace before wrapping up near the Mississippi River levee.